Also, our negative ego is often engaged when we are motivated through our fears. Our ego uses old patterns from our childhood such as the need to justify we are ‘right’, the need to think that we need to manipulate to get what we want, and the need to fix the things we identify as ‘problems’. Once our ego is engaged – and it is virtually impossible to make a desired change without our ego – we sabotage our efforts to change. We begin by ‘doing’ something that will often bring us full circle back to maintaining the problem because our motivation is from our fears. However how many people consider what our motivation is for change? As a society we are prone to measure our self-worth by ridiculous standards. Once we identify something as a problem – it is almost impossible to not be focused on it as a problem. Our need to make changes is a worthy goal as we desire to Grow Up. But the problem lies in our intention and motivation. Our Intention and Motivation often are a result of our fears – it shows through the choices we make or whether we are judging or comparing ourselves and our self-worth through others. We identify a problem and we automatically consider what we can ‘do’ differently. This is our ego at its best. So where do we start? What is our intention to change? What will motivate us to sustain change? Is it to Grow towards Love or fall prey to trying to evade those things that are impressed on us such as our fears or the negative things that we are willing to believe. When we consider changing ourselves is it because there is shame, guilt, humiliation, and anger – or it is because we “blame” ourself or someone else? Are we thinking ourselves not good enough to live up to someone else’s standards or the ridiculous social standards that are really a way to control and conform us to their way – whoever ‘they’ are? Or do we just not ‘do’ anything because it suggests that we are focused on the problem? Of course not! However, we have to look at the differences between ‘doing’ which comes from our head/ego and ‘Being’ which comes from who we are, our hearts and from how we are responding based on our feelings. This means that if we can find a way to BE happy, kind, loving, compassionate or peaceful while ‘doing’ what is required to change then we are coming from a state of BEing that comes from who we are. If we are ‘doing’ because we need to change and we are doing this because of our fears – like blame, shame, guilt, anger, humiliation or manipulation – then we won’t likely be able to sustain any of the changes we desire because we will be more focused on the negative aspects and this is hardly motivating. It may seem like semantics or too subtle to make a difference – but when it comes to motivation this is the difference between success and failure. If we can find a way to BE happy, kind, loving, compassionate or peaceful while ‘doing’ what is required to change then we are coming from a state of BEing that comes from who we are. Although a true spiritual teacher may say there is no such thing as success and failure as everything happens for a reason and everything is an opportunity to grow – I recognize that there is necessity in our lives for success. We want to live a long, healthy, happy and pain-free life. So, what are you inspired to change with the turning of the seasons? 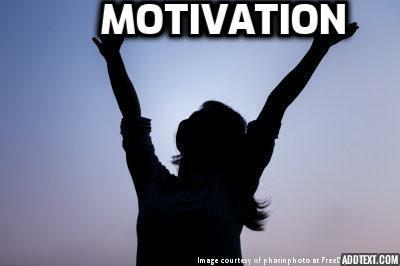 More importantly: what is your motivation for changing? And since we are often guided by fear first – can you discover a way to be motivated through Love while acknowledging your fears as well? Can you shift what you want to change so that you can be motivated by BEing Loving, Compassionate and Kind to yourself? Can you focus on how you want to Feel instead of why you want to change – as focussing on why you want to change may bring up all your fears. Let go of the fears that sabotage and Create a way to Live Your Greatest Life through how you want to BE! BE that! BE Love! Choose Love. Always! This entry was posted in Blog and tagged Fear and Ego, fear vs love, Laurie Huston, motivation, News for the Heart, News for the Heart Radio, Tom Campbell. Bookmark the permalink.